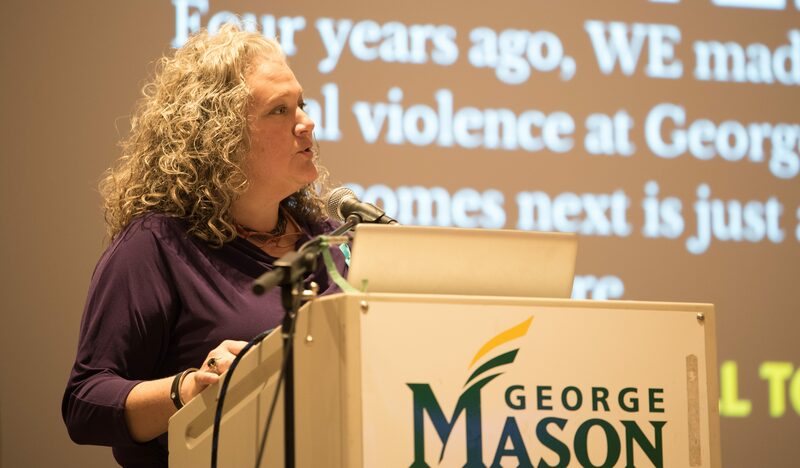 The pledge initiative to end sexual violence at Mason began four years ago. This call to action continues today through events like Chapter Next: Ending Sexual Violence. Chapter Next was held Thursday, Oct. 18, organized by the Women and Gender Studies Center, the Leadership Education and Development (LEAD) office and the Student Support and Advocacy Center (SSAC). 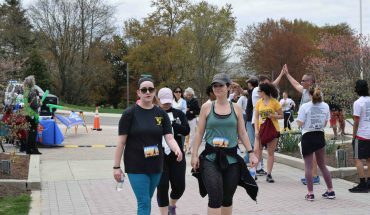 The event was an opportunity for the Mason community to come together, to encourage discussions, trainings, education, programing and outreach to help end sexual violence on campus. 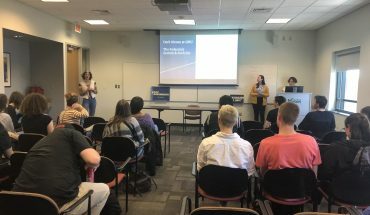 “I think events like this are really important, because there are a lot of people on campus that are doing the work … offices like [the] Student Support and Advocacy Center and Compliance, Diversity, and Ethics,” said Courtney Diener, SSAC assistant director of student support and interpersonal violence. Tables throughout Dewberry Hall offered various activities like writing cards for survivors, making hope rocks with inspirational messages, packing FACETS food kits for members of the community and making posters for with messages of hope. In attendance were Haleigh Megirt and Izzie Larson, members of the GMU Forensics Team. Recently the team’s director, Peter Pober, was accused of sexually harassing a student, leading to his retirement from Mason. Students were also educated on topics from stalking to sexual violence with “live quizzes.” These “quizzes” were presented with a pathway of posters containing information and personal testimonials about sexual violence. In addition to being educational, the quizzes were intended to spark a conversation between students. They also provided opportunities to ask the event’s leaders for more information on issues related to sexual violence. 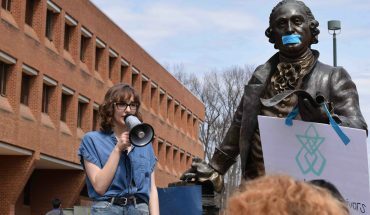 Toward the end of the event, Mason’s Title IX coordinator, Jennifer Hammat, came onstage and read the school’s Pledge to End Sexual Violence while students and faculty members, including President Cabrera, recited it back. “I hope that it inspires [students] to get further involved, whether that is [through] attending another event or talking to their friends about consent or just supporting survivors in our community, and that the messages we send out are supportive,” said Diener. If any student has experienced violence and is looking for someone to talk to or other on-campus resources, Counseling and Psychological Services, Student Health Services and the Student Support and Advocacy Center are confidential and available to help.